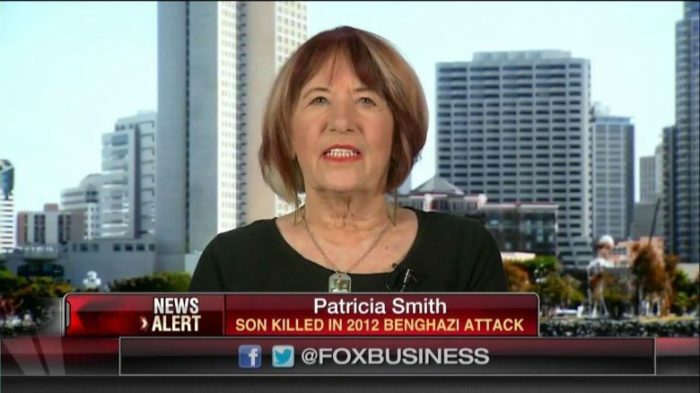 Patricia Smith, the mother of Benghazi victim Sean Smith, said she still has not heard from Hillary Clinton or anyone in the Obama Administration about why her son was killed in the 2012 attack. She said she also isn’t surprised that there were 30 emails related to Benghazi which had not been turned over to the State Department. “Hillary has never taken the time off to explain to me why my son is dead,” she said. “I think anybody in the world would want to know that. Anybody that has any emotions in them whatsoever, they would want to know that. But she won’t tell me. She said that Clinton told her daughter the real cause of the attack, but she would not tell her. Watch the powerful segment above.